The city of Drama was in ancient times the center of the cult of Dionysus. Both the same Drama and many other settlements in the area were, during the Roman period, part of the Roman colony of Philippi. Monuments of Byzantine Drama are its walls and the church of Hagia Sophia (10th century), as well as the palaeologue of the Pammegat Taxiarches on Venizelou Street. Monuments of the Ottoman period are the few mosques and some other old buildings that survive in the city, while post-Byzantine temples exist in Drama, Xiropotamos and Monastiraki. The emergence of this heritage combined with the promotion of significant cultural events (such as the Greek and International Short Film Festival of Drama), the high aesthetics of the dramatic landscape of both the Agia Varvara and the perivisto (Koryloos) the special natural beauties of the municipal apartments and the traditional happenings taking place in some of them are expected to attract interest and make Drama and the area of ​​attraction of demanding visitors, of not only Greeks but also foreigners. 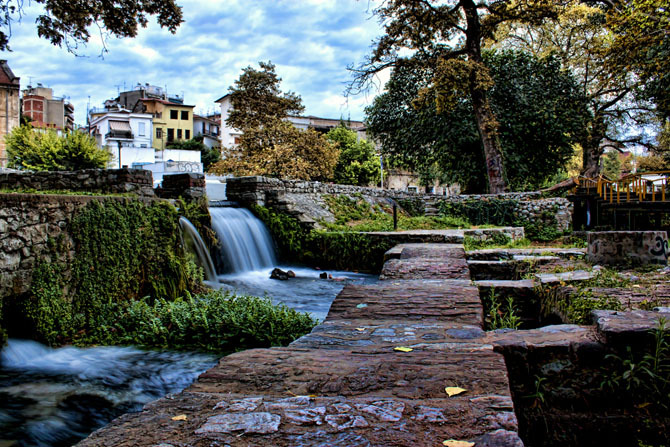 Apart from the other possibilities offered, the city of Drama can also be the ideal base for excursions in any interesting direction, to the caves of Alistratis and Aggitis Sources, to the Falakro Ski Center, to the forests of Elatia and of Frakto, towards the Holy Monastery of Our Lady of Acheroinitis in Paggaio, towards the archaeological site of Philippi and elsewhere. In general, however, the experience that Drama offers to its visitor, conscious or occasional, is almost always enriched by the pleasant surprise created by the discovery of an unknown place.